We start Part IV of our series! In this part, we focus on design. 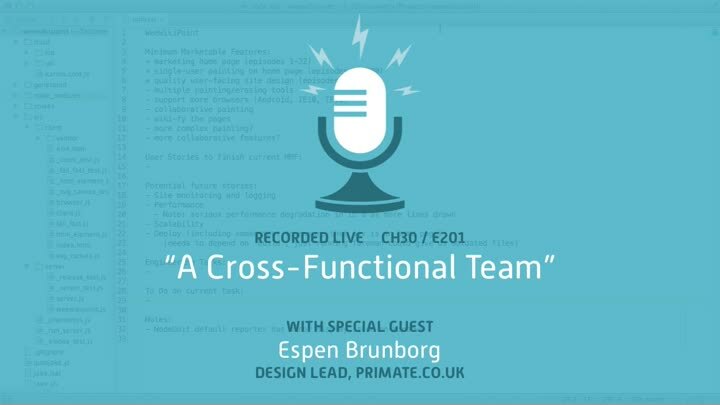 To get us started off right, a special treat: Espen Brunborg, head of design at Primate, joins us to help craft a professional look for our WeeWikiPaint app. We start by reviewing the prototype and discussing how design works in a cross-functional Agile team.